Vietnamese Temple is a temple dedicated to Lord Buddha, built by the Vietnam Government. It is located behind the Kalchakra Maidan, set in a secluded corner. The Buddha statue looks very divine and thoughtful, with depictions all around it about his life. The temple itself is very well maintained, with a picturesque surrounding. 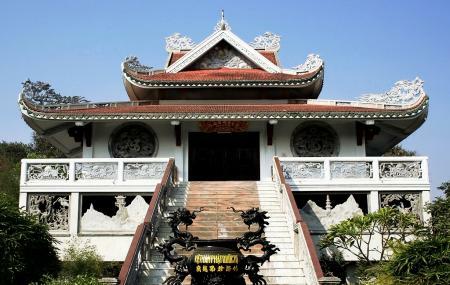 Its Vietnamese architecture is what sets it apart from the other temples of the city. All in all, it should be visited by every religious person. How popular is Vietnamese Temple? People normally club together Surya Kund and Bodhgaya Multimedia Museum while planning their visit to Vietnamese Temple.